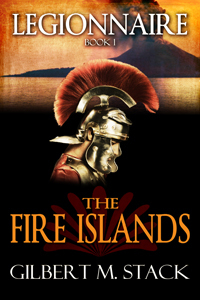 To celebrate the one year anniversary of the release of The Fire Islands, the price will be reduced to 99 cents for one week. Lesser Tribune Marcus Venandus, Legion officer exemplar, was exiled to the disease-ridden hell hole known as the Fire Islands as punishment for the failed political machinations of his father. While the days of the powerful witchdoctor kings throwing skeletal armies against the shields of the legion have faded into history, all is not right at the edge of the world. Unrest is boiling once again as long dead darkness seeps back into the islands. With the legion more concerned with its personal rivalries than with its duty, it will fall to Marcus and his small, highly disciplined, command to put the horrors of the past back in their graves and literally save Aquila from a fate worse than death.